The amusing little inborn device known as the biological clock tolls for three women; two of them heed its compelling tones, while the third tries to ignore them. 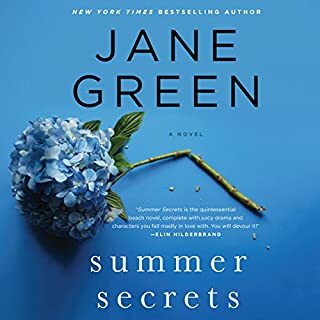 When Alice's wealthy (and much coveted) teenage crush, Joe, asks her to marry him, she is prepared to trade in her dream of a cottage filled with children, animals, and home-cooked meals for what he has in mind for her: stilettos, blond highlights, and a diet. She tells herself that she's happy to sacrifice for love, especially when every woman in London would like to be in her shoes. 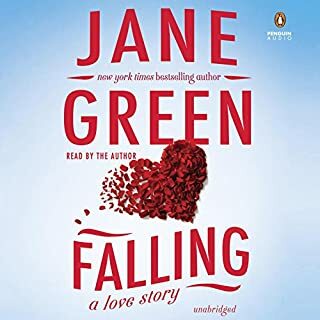 But when her cheating Prince Charming is forced to relocate to New York as a result of an indiscretion with a female colleague, Alice feels her life spinning out of control. 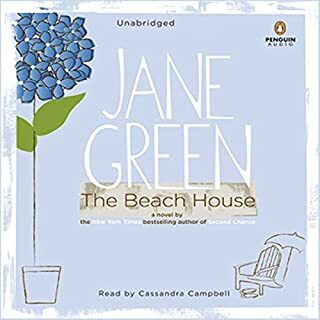 But soon enough, she finds herself renovating a country house in Connecticut, and in the process rediscovering herself. Friends, fresh air, and her best friend's boyfriend offer her a glimpse of a life, and love, she always wanted. But can she break Joe's spell? Great book! 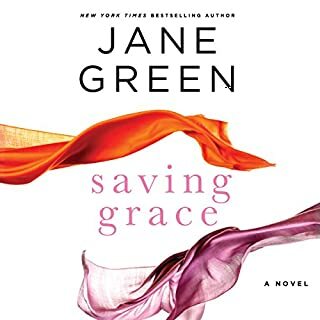 I love Jane Green. Does anyone know if there is a sequel? It alludes to one but I haven't found one yet. Anyway, great story although it does drive me CRAZY that Alice won't stand up for herself throughout much of the book. The narrator does a great job as well and makes it a pleasure to listen to. A little long at times, but definetly a good read. It's not to heavy, but it kept my attention through a very long drive. I would recommend it to many! This is a book I have re-read many times and loved so much I wanted to listen to it. I was not disappointed. If you love a well written "chic lit" book in the line of Jemima J and Good in Bed you will love this book. It's a good ugly duckling to swan and back again kind of story. I love everything Jane Green writes. This book did not disappoint. Her characters have such depth and charisma. Even the deplorable ones. 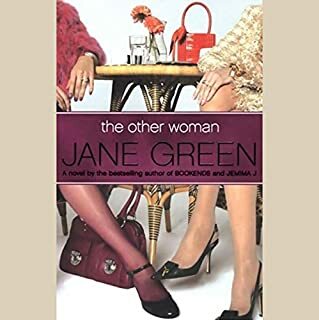 If you like Jane Green, you will love this one as well. This story was engaging and well-rounded. I thoroughly enjoyed it. There isn't a single character in this book that is truly likable by the time you get to the end of this highly predictable novel. Of course we're supposed to be cheering Alice on, and as the only one who shows any true character development, she would seem the most deserving. But even she remains very one-dimensional, despite moving to a new setting and creating a new life for herself. Much of this book suffers from the reader being constantly TOLD and not SHOWN what each of the characters is thinking and feeling; it reads like an outline that was fleshed out just a bit. Sentences analogous to "Alice feels intensely happy," or "Joe can't control his attraction to [FILL IN THE BLANK]," abound on every page. The book also suffers from its ceaseless fascination with designer clothes and perfect people. And that's a shame, because Alice's life situation contains great potential for readers to identify with her problems. And with just a bit more craft in the writing process, Alice's dilemma and her ultimate resolution could have been a victory for Alice and a meaningful experience for the reader. There are better books to occupy your time; I'd leave this one at the bottom of your reading list. 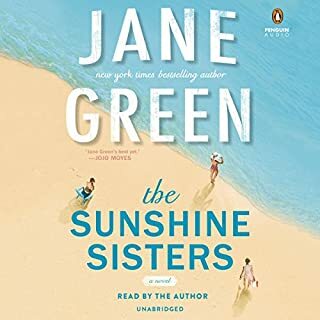 If you like Jane Green you will like this book. I have read most her book and any have yet to disappoint. yes of course I was in my car for hours at a time. Anything is good to listen to. I liked the ending but I figured it out early in the story. Could you see To Have and To Hold being made into a movie or a TV series? Who should the stars be? Yes but many movies have the same ending. Story good- details need work! I found the story interesting but was continually annoyed by the author's lack of geographical accuracy. She continually has her characters refer to their home in Connecticut as being below New York City!! I always head north from NYC to CT.